Cocktails and a snack at the bar of Eleven Madison Park restaurant are a worthwhile excursion. 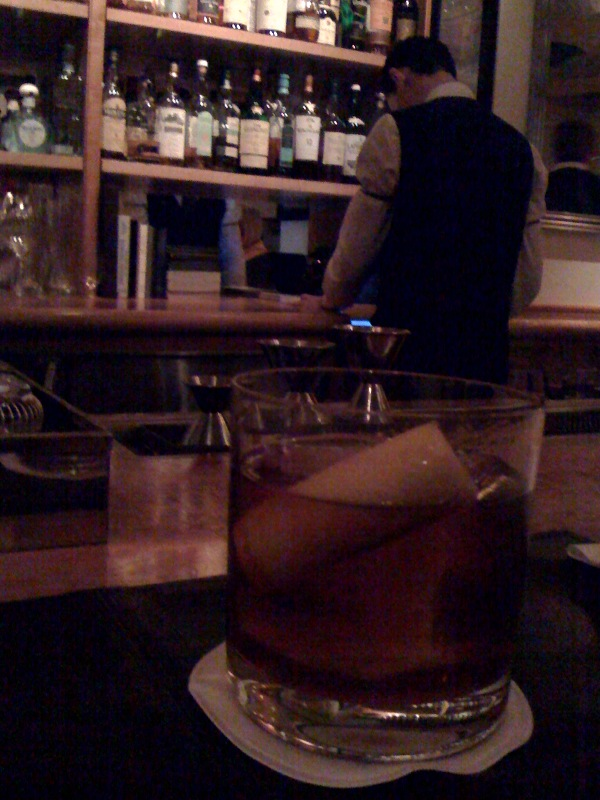 The city has become cocktail obsessed with the old-school speak-easy type bar becoming de rigueur. The cocktail and bar approach at Eleven Madison Park takes on the same rigorous attention to detail as befits a New York Times four star restaurant: elegance with precision. Provide any of the bartenders with a little direction and the able mixoligists will guide you down the path of cocktail bliss. I enjoy the cool vibe of the speakeasy cocktail hideaways, but the restrained elegance and precision of Eleven Madison Park is refreshing change of pace.